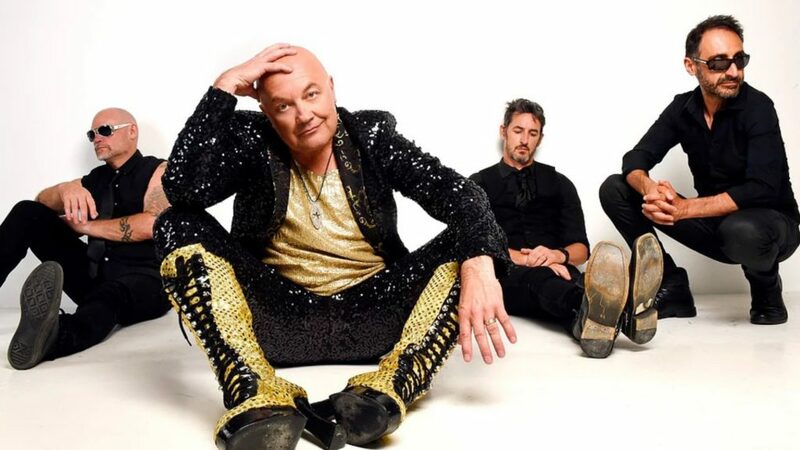 Chocolate Starfish powered on to the Australian music scene in the early 1990s and quickly established themselves as an influential force with their cover of Carly Simon’s ‘You’re So Vain’, original hit ‘Mountain’ and perennial favourite ‘Four Letter Word’. They wholeheartedly earned their reputation as one of Australia’s best live bands of the 90s, boasting two Top 10 albums and six Top 50 singles. Twenty-five years later, the band is living up to this reputation and then some, still blowing audiences away with their powerhouse performances and magnetic stage presence. Chocolate Starfish continues to deliver the pure, unadulterated entertainment for which they are renowned, their captivating shows imbued with intensity and revelry – and, as always, with a few surprises. Driving this rock ‘n’ roll juggernaut is electric, engaging front man Adam Thompson, whose provocative vocals and unpredictable stage antics compel audiences to sing along, dance along and even jump along as he leads them in what could be described as a mass game of ‘Simon Says’. ‘Starfish Says’, anyone?